Impressive ‘raising awareness’ animation by a 12yo Australian boy. This entry was posted in Ethical understanding and tagged animation, child, education, empathy, gender inequity, girl, great student work, International Day of the Girl, personal and social capability on September 8, 2013 by letletlet. 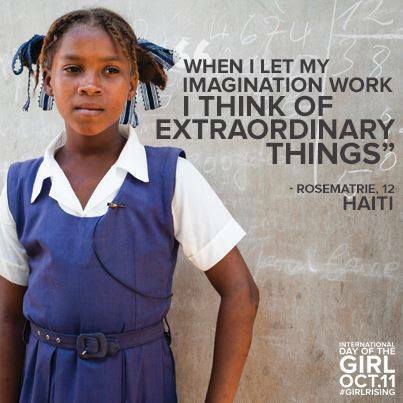 “When I let my imagination work, I think of extraordinary things,” Rosematrie told us, chin lifted with confidence. She dreams that her mother, who suffers from poor health, will live long enough for Rosematrie to take care of her. It was her mother who salvaged a piece of sheet metal to hang on the side of their ramshackle home so Rosematrie would have a place to study. Though Rosematrie may not eat three meals a day, her mother buys her a piece of chalk every afternoon so she can practice her lessons. It’s a small sacrifice for a bigger dream of a better future. 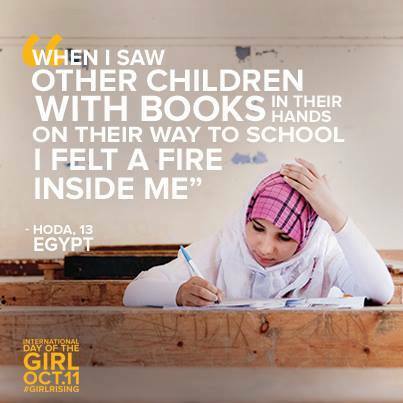 When Hoda was just 7 years old, she felt “a fire inside her,” she told us, as she watched other kids walking to school. So she begged her father and mother to let her enroll, and they finally gave in. 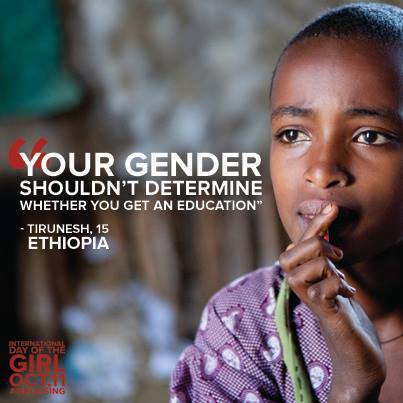 Her success has forever changed her father’s ideas about girls’ education. He now regrets not sending his other children to school and hopes that one day Hoda might become a doctor. She wants to be a teacher. 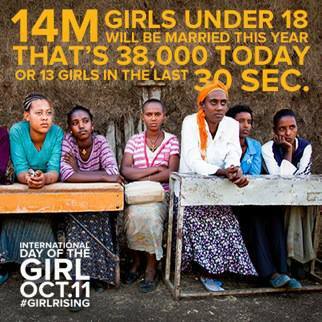 Girl Rising partner CARE is helping to make this possible. “If I did not go to school, my fate would be working in this carpet factory,” Purnima, explained to us. In this photo, the bright 15 year-old seventh-grader stands behind her tenement building in Bhaktapur, Nepal. Bhaktapur houses an ill-ventilated carpet factory, where Purnima knows she would be fated to work if not for scholarship support of Room to Read | Students Helping Students. 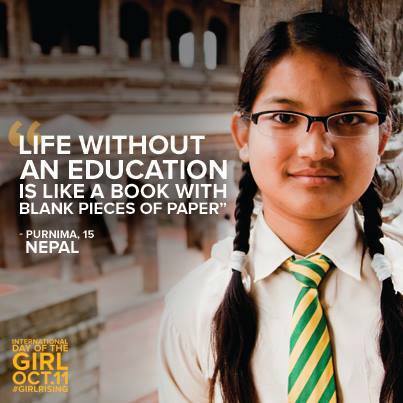 Incredibly bright and articulate, Purnima is poised to become the first in her family to complete secondary education. She hopes to one day become an eye doctor. 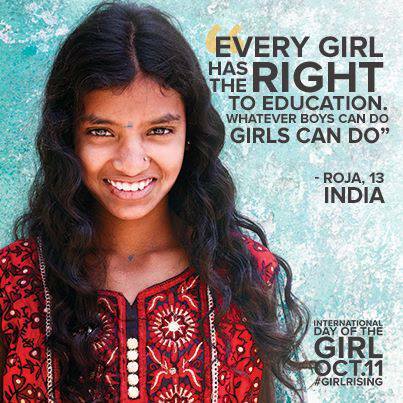 This entry was posted in Personal & social capability and tagged Asia literacy, child, education, Egypt, ethical understanding, Ethiopia, gender equity, geography, girl, Girl Rising, Haiti, India, intercultural understanding, International Day of the Girl, Kofi Annan, Nepal, quote, school on August 28, 2013 by letletlet.